UT: Hi Hristo! First introduce yourself, please! UT: Can you give me a short history from your group? Our group is created in 1995, and its core is by lads from the Plovdiv's neighbourhood Kichuk Paris. We take part in all activities in Lauta (our stadium and our home). We are financially independent and everything we make is being done with our own money. Our group is not the biggest one but we're the most active one for sure. 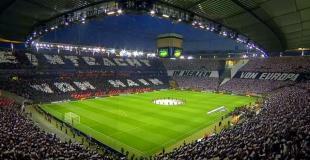 In the end of 2005 we transformed from Club to Ultras organisation. UT: How many members do you have today, whats your goal for the next years? Our group has a core of 25 lads and others that are not yet members. 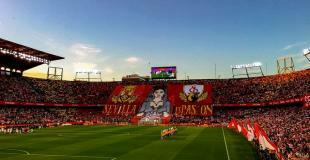 Our goal is like it has allways been - to support our team without concerning loses and enlisting more serious ultras minded people in the group. 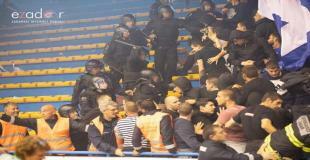 UT: What’s the meaning with Napoletani Ultras Plovdiv ? Our name means "The napoletanian ultras from Plovdiv"... Some of the boys are fans of Napoli and we were called "Napoletani" everywhere so there came the name. UT: Is there other groups at Lokomotiv Plovdiv? If so, who are the main groups and how "big" are your group compared to them? There are two more groups of Lokomotiv Plovdiv - Lauta Hools and Gott Mit uns. We are always together in certain "activities" Lauta Hools or The Usual Suspects as they are known follow the casual culture and they are the top firm in Bulgaria. Gott Mit Uns are far right ultras, top lads too. As I said in the beginning we're not the biggest group but we're the most active. No, for us the ultras culture and our team is above all. UT: How do you organise everything? Like songs, away games, tifosi etc? We organise everything by regular meetings and keeping in touch all the time, not just on match days. We meet before the games to decide whether or not to make some stricioni or to exact a travel for an away game...Most of the times we use our own cars. Sometimes we use buses to travel with the other groups or trains but this is not very often because in a bus or a train we're an easy target for the coppers. UT: What fo you mean is the best tifo action your group have made? Few thousands of cartoons with ULTRAS written on it and a a stricione over all the flags "LIBERTA PER GLI ULTRAS".This is my personal number one, considering it was made on an away game. UT: Is your group influenced by other scenes or countries like Italy ? Yes, we follow the ultras culture. The interesting thing about us is that despite we're ultras we dress casual without club symbols, because that helps us a lot when we encounter the police or fans of other teams. Who are your enemies and friends? UT: How is the contact with other fans from your team and your club? Our relations with the other fans are great. We often meet together for a beer for example. We make everything together and very seriously. This is something many foreign ultras had understood. Our relations with the club management are strictly "professional". We don't mess in their desidions and don't let them tell us how to support our team. UT: Have you to do with repression by the government or the police? Yes. Police repressions are big issue for us. It can be told that Bulgaria is a police country... There are huge numbers of coppers before big matches. Every fan is being searched from head to toe withoug any warning or permision. Every match there is a problem with the flags and banners because there is a law against big flags, there are many other things like bans from games and bans for entering a pyrotechnics etc. etc. I think it is becoming harder and harder for the ultras to be an ultras... Everybody is trying to deal with us and I think that repressions will stop when in the stadiums are left only sitting people, applausing like they are watching the Romeo and Julitet play or something... We have allways kept a close look on what is going on in Italy and our neighbours Greece and Serbia and we respect every ultras that is trying to do something because we know how hard a proper support is nowadays. We are very proud of our city. It has been herefor thousands of years and it is even older than Rome... It has very interesting history but that's a matter of another conversation. We are not devided into regions, we have fans in every part of the city. Originally our group was created by boys from one neighbourhood but as the group evolved came people from different parts of the city. UT: Any final sentence to the users?